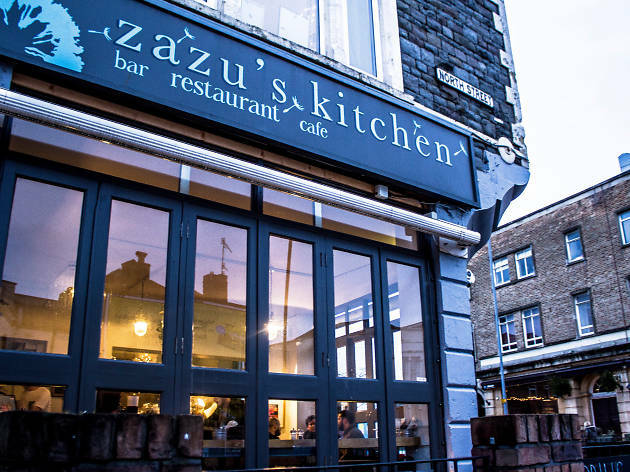 It’s been an itinerant journey for Zazu’s Kitchen – but, after a move only a few doors down the road at the back end of 2014, it now has a secure footing in Gloucester Road, alongside a second restaurant on North Street. It’s a journey that started in Stokes Croft (in what is now Poco), before a brief foray into Clifton, which makes the Gloucester Road joint the fourth iteration of the original restaurant in almost as many years. Its flagship home is now bigger, with an upstairs function room, but, sadly, now without the terrace out front. A popular brunch menu is served between 9am and 3pm, highly recommended with a coffee from Extract over in St Werburgh’s next to the M32 – Bristol’s premier roasters. Merguez sausages, scrambled eggs and chilli sauce on sourdough toast is £6.95, while smoked salmon or serrano ham make decadent accompaniments to the scrambled eggs on sourdough toast (£6.75). At lunch, the marinated halloumi, tomato and aubergine salad and toasted quinoa (£7.95) is a highlight, and the pan-fried pigeon breast, red cabbage and candied hazelnuts (£6.50) is worth sampling for the nuts alone. If you have a young child in tow, order them a babyccino and watch their face light up when it’s served in a miniature milk bottle. 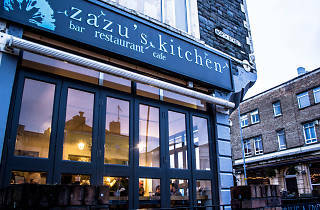 The team behind Zazu’s has also recently moved into the pub trade, bringing the Greenbank back to life with aplomb out in Easton, and, most recently, opening the Grace only a few hundred yards down Gloucester Road.